Did you ever wonder who the famous homeschoolers are or were? Here's a list of some people I have collected. These are interesting for students to look over to help inspire them. Each name has a link to information you can find about them at Wikipedia plus books you can get about their life and work. Some of these people are current and others lived many years ago. It seems that homeschooling is becoming even more popular lately and many more famous people are choosing to homeschool their own children adding to the list of famous homeschoolers. These would make great unit studies for your homeschool student or just make for interesting reading. 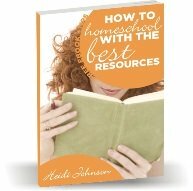 Homeschoolers can be found in every area of science, history and more. Many students think that homeschooling is new but it's actually a very old idea. Before there were schools, students learned to read and write from their parents if their parents knew how. It's good for students to understand what a privilege it is for them to be able to learn. Books and information are so readily available these days that it's hard for students to imagine that life has not always been this way. When students read about famous people who have been homeschooled and possibly overcome many odds, they can be inspired to work hard and appreciate the freedoms they enjoy because of these people. Whether students read these books for pleasure or as part of their history or science curriculum, they can benefit greatly from reading about interesting people.